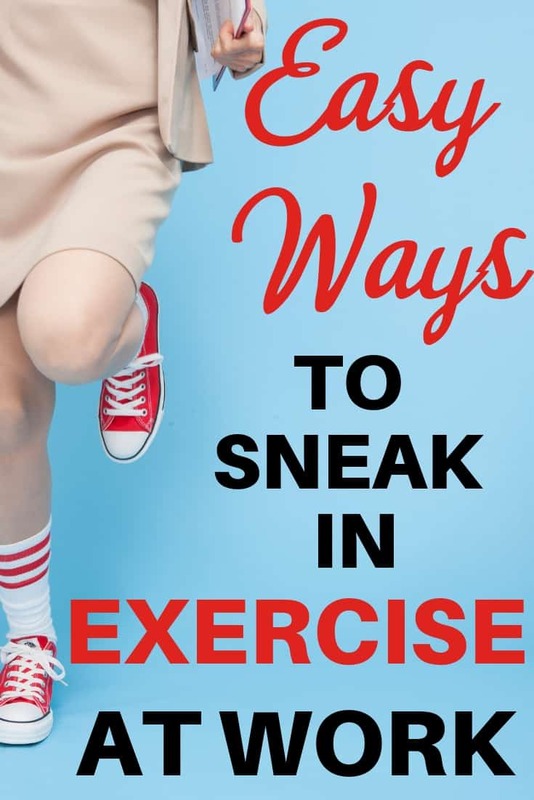 Looking for quick workout ideas that you can do while you’re at work? You can burn calories and tone your body at the office with these discreet exercises! Move around while talking on the phone. There’s no rule that says you have to sit down while you’re on the phone (at least not n most offices). Stand up, and if possible, walk around whenever you’re making a phone call. Use an under-desk elliptical machine. The compact machine pictured above can work while you’re sitting at your desk, or you can also stand to use it. Skeptical about whether it works? Check out this detailed review on Amazon where the lady describes how this exerciser helped her to lose 165 pounds ! Use the personal touch. ​Rather than emailing or texting a co-worker, walk over to his or her cube. Remember, every little bit of movement helps! Squeeze in a little workout by climbing up the stairs rather than using the elevator. Work at the top of a high rise building? Get off a few floors early and walk the rest of the way if you don’t want to get hot and sweaty on the way to work. Do 10 modified pushups against the bathroom counter. Taking a bathroom break? Take a minute to do quick pushups…here’s a quick video that shows you how. 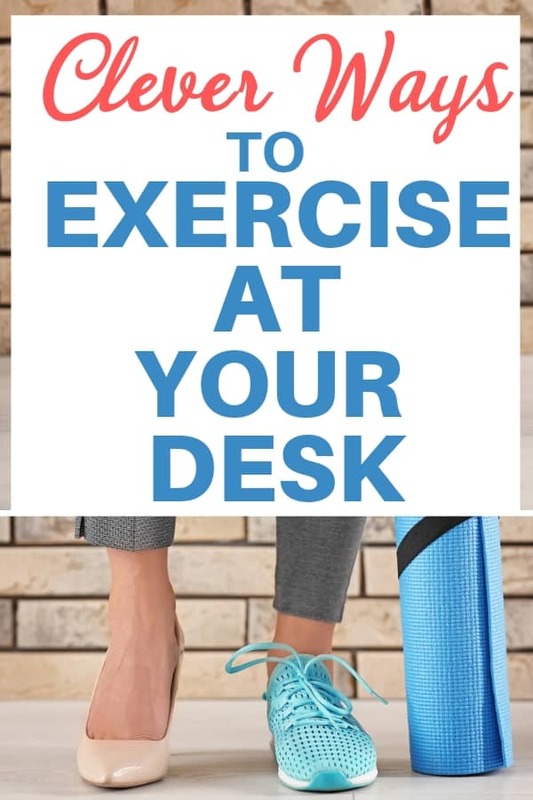 Do leg raises while at your desk. While you’re seated raise one or both legs so that they’re straight and even with your knees. Hold for 5 seconds. Lower your legs until they’re almost to the ground but not quite touching, then raise them again. Repeat 15 times (alternate legs if you’re just raising one at a time). Do calf raises while waiting for the printer. Don’t just stand there while you’re waiting for a printout. Raise yourself up on your tiptoes, then lower yourself back down. See how many reps you can do in one minute. Exercise different parts of your body from the comfort of your chair!